The Lyons may be back at the helm of Empire, but that does not mean the company is in good standing. 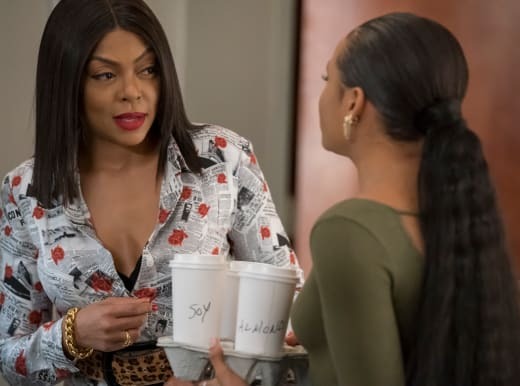 Empire Season 5 Episode 11 started the process of getting a cash injection for the business that has been put through the wringer of late. With shocking deaths, people fighting for power, and crooks using the company to make a pretty penny, there's a lot of bad press. I appreciated the need to send Cookie on the mission to Panama with Damon Cross. Cookie is not in the best frame of mind right about now. She's starting to realize that her fortune has been the cause for many people's lives to be full of pain. Every day, a new grenade blows up in my damn face. Permalink: Every day, a new grenade blows up in my damn face. She wants to be better, and she wants her family to follow suit. The Lyon family has always done some questionable things, and some of them have landed in prison as a result. At some point, something's got to give, and I like that the show is starting to address the adverse effects that these people have had on others in their rise to the top spot. Cookie and Damon's chemistry was off the charts, so I wouldn't have been surprised to find them locking lips by the end of the installment. Damon seems like a nicer person than Lucious, but that's a judgment based off a matter of scenes. We know that he's into some dodgy dealings, so it would be silly to make a definite judgment at this stage. 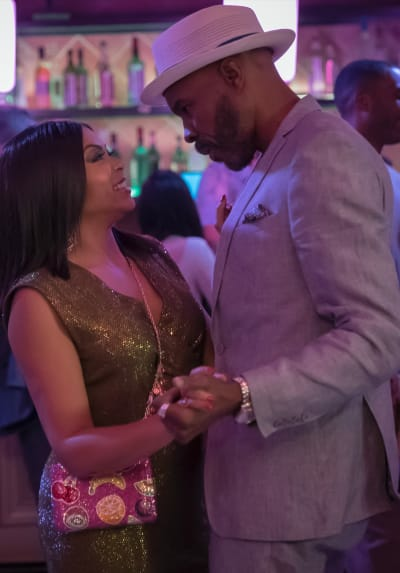 Lucious showing up at the close of the hour at the hotel room was quite the surprise, but it proved just how much he relied on Cookie. It's just a shame that Cookie did not seem all that interested in him popping up in Panama. When the hotel room door went after the flowers and matchbox were left on her bed, it seemed like Damon was going to be the one on the other side of the door. Cookie seemed somewhat happy about opening the door ... until it was Lucious. Lucious chanting about buying the building that was used by people on drugs was a great way to show her that he's ready to make some changes. It also proved that what Cookie said about being better people had an effect on him. However, I think it might be too late for this couple. 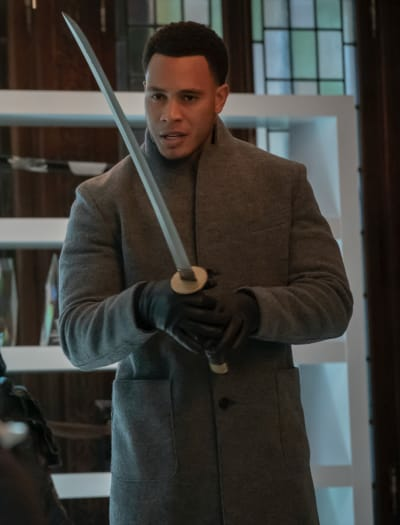 Whether Lucious will 'fess up about it being his mother's words that made him change his ways, I don't know. Leah's return was worthwhile, but something tells me she's going to be released before the season is over. She'll probably wind up conspiring with Kingsley to wipe the Lyons from existence. If you watch Empire online, you know that Leah was a horrendous mother. She was manipulative, mean-spirited, and even went as far as killing one of her sons. The ultimate revenge Lucious can see at this stage is to do better things. She thinks he's rotten to the core, but if he can prove otherwise, then he's winning. Hell, it was one episode ago he and Andre went after the man who was working for Kingsley and almost killed him. As for Andre, "In Loving Virtue" only made me hate the character more. He shows so much loyalty to his friends and family that he's lashing out at people, and threatening to harm them on the reg. It's becoming tiring, and I no longer care for his character. Waving the sword at Devon's manager was unsurprising, but I'm surprised there was no last-minute twist with the manager getting the upper hand. Additionally, the surprise meeting with his doctor is probably going to reveal some sort of condition that will make viewers think the eldest Lyon is about to die. You might think you can come up riding on my coattails, but you're going to be stuck under my louibitons. The mysterious medical records returning probably has something to do with Kingsley. There's raising the stakes, and then there's taking the predictable route. 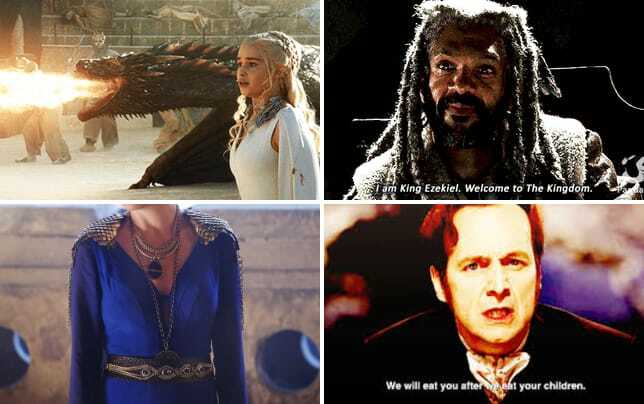 I believe the show is going with the latter in this instance. Maybe if Andre thinks he's dying, he will change his ways, but I'm not going to hold my breath. Did anyone else struggle to take Jamal seriously when he was saying he was going through stuff? 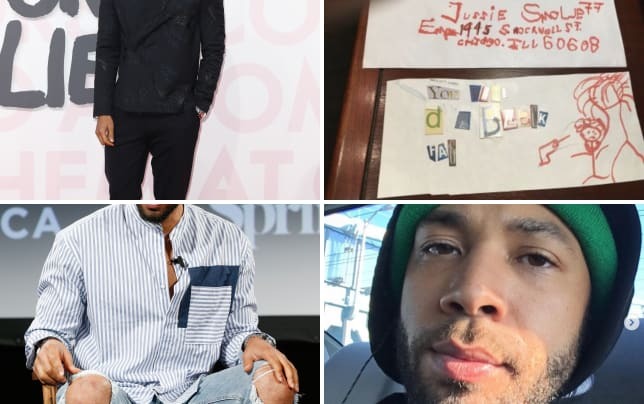 Pretty sure the entire Empire cast and crew were going through a nightmare as these episodes play out given the whole Jussie Smollett scandal. The rivalry between Treasure and Tiana came out of nowhere, and while it made for some comedic moments, it didn't serve much to the overall plot. It gave Tiana something to do which was great, but Empire is bursting at the seams with talent, and it's becoming difficult to serve all of these characters. Porsha is another one who got more screen time than usual, but Porsha's scenes are always natural. She's a genuinely funny character who delivers some of the best lines. 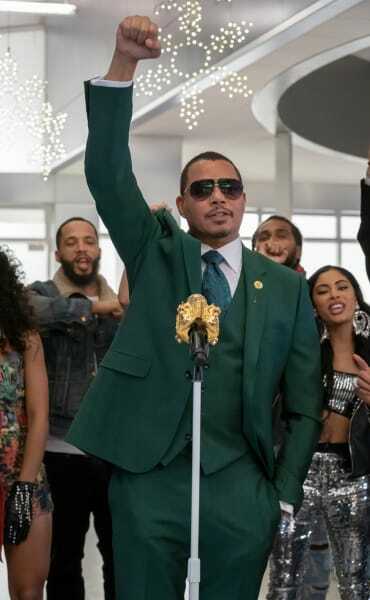 Empire should really think about scaling back the cast if it gets renewed for Season 6. That being said, new addition, Alicia Coppola was excellent in her one scene with Thirsty. I'm intrigued to see which side Thirsty chooses and whether it will send a possibly reformed Lucious to the slammer. What are your thoughts on Cookie's connection to Damon? 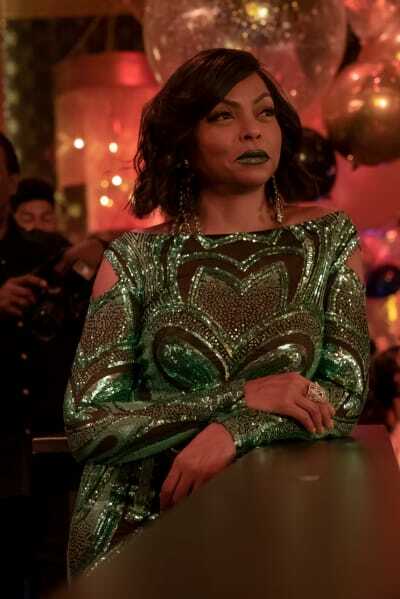 Do you see a future in which Cookie would leave Lucious behind? Is Andre being trolled by Kingsley? Empire airs Wednesdays on Fox.